Composer Augusta Read Thomas visits the Center this week! Amidst the flurry of concerts and workshops going on at the Center in April, as well as the recent residencies by Mario Caroli and the Talujon Percussion Ensemble (see posts below), we will soon be enjoying a visit by composer Augusta Read Thomas, who will give a private master class to composition students in UB’s graduate program as well as present a lecture on her own work on Wednesday, April 25th. Augusta is the recipient of an Ernst von Siemens Music Prize, a Lifetime Achievement Award from the American Academy of Arts and Letters, and was recently appointed University Professor of Composition in the Department of Music and the College at the University of Chicago. Augusta Read Thomas is also a long-time friend of the Robert and Carol Morris Center for 21st Century Music, and has participated as a faculty composer at the 2006 June in Buffalo Festival, as well as enjoyed many performances at June in Buffalo, including: Blizzard in Paradise, Bubble: Rainbow - (spirit level), Carillon Sky, Red Moon, Rumi Settings, Six Piano Etudes, Sonnet from the field: second movement, and Spirit Musings. 2012 will be an exciting year of premieres for Augusta, as Third Coast Percussion will premiere her Resounding Earth in September, and in December, The National Centre for the Performing Arts in Beijing will give the world premiere of her Harvest Drum for orchestra. Additionally, this summer, Augusta will be co-teaching, along with Christopher Rouse, the Master Class Composers' Session at the Aspen Music Festival, in Aspen, Colorado. UB’s own Nathan Heidelberger will be particpating with her at Aspen, as he has been selected as one of the few student composers to be given a one-month residency at the Aspen Music Festival this summer. We at the Center will be looking forward to a full report from Nathan next Fall! 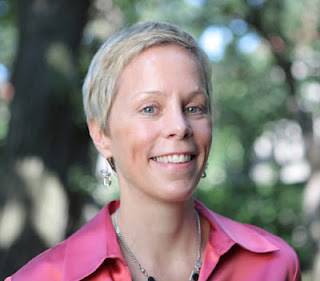 You can learn more about Augusta Read Thomas in this video below, where she is interviewed about a recent work of hers, Helios Choros II (Sun God Dancers), performed by the Boston Symphony Orchestra. Talujon Percussion Ensemble performs Gérard Grisey’s “Le Noir d’Étoile” at UB this week! The Robert and Carol Morris Center for 21st Century Music is looking forward to hosting the Talujon Percussion Ensemble at UB this week for a day of student composer readings and an exciting concert of contemporary percussion music. The New York Times has described Talujon as possessing an “edgy, unflagging energy,” whose “brilliant members” are skilled at producing “frenzied explosions of percussion madness…” Talujon joins us as they wind down their 20th Anniversary Season with residencies at UB and Brandeis University, as well as a tour of concerts given throughout New York, including at the Manhattan School of Music, Purchase, Brooklyn’s Roulette, and venues all around NYC. 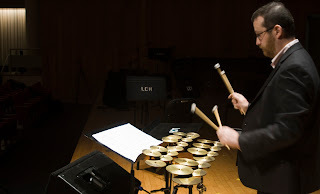 On Monday, April 23, at 1:00 p.m. in Lippes Hall the Talujon Percussion Ensemble will read works from five graduate composers in the music composition program at UB, which features an incredibly diverse and original body of composers, with a wide range of aesthetic attitudes and outlooks. The pieces at the workshop include nor nothing towards obstruction or else erasure yet and, by Colin Tucker, Four in the Morning, End of December, by Dan Bassin, Emergence, by David Rappenecker, …in other news, by Dimitar Pentchev, and Detrimento Temporal no. 1 (febrero), by Juan Colón-Hernández. 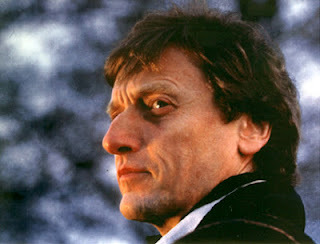 One of the composers, Colin Tucker, features some rather unconventional percussion instruments in his piece, as he explains in this excerpt from the program notes, “In nor nothing towards obstruction or else erasure yet and, two percussionists scrape surfaces – familiar instruments (drumhead, almglocken) and construction materials (flakeboard, cardboard) – with cardboard and other implements. The score specifies the performers’ efforts in moving implements around surfaces, rather than the sounds that result. “Effort” involves two parameters: pressure directed parallel to the surface, wherein bodily energy produces sound, and pressure directed perpendicular to the surface, wherein bodily energy impedes sound. The latter is therefore a “switch” which mediates the former’s latent energy, cancelling it or allowing it to actualize itself into motion and sound.” More information about Colin and his unique approaches to composition can be found at his website here. On Tuesday, April 24th, at 7:30 p.m., Talujon will present a concert in Lippes Hall featuring Le Noir de L'Étoile by famed French composer Gérard Grisey. Le Noir de L'Étoile concerns the death of a pulsar – a highly magnetized, rotating neutron star that emits a beam of electromagnetic radiation. The piece had its genesis when Gérard Grisey was teaching at the University at Berkeley in 1985 and met the astronomer and cosmologist Joe Silk, who introduced the composer to the sounds of the Vela Pulsar, which Grisey incorporated and translated into the piece. The percussionists of Talujon will be stationed around the hall to provide an enveloping sonic experience and communicate live the pulsations and vibrations of the Vela Pulsar. Check out the video below of an excerpt of Talujon performing Frederic Rzewski’s Coming Together. Flutist Mario Caroli performs Salvatore Sciarrino's "L'opera per flauto" at UB this weekend. As spring in Buffalo heats up, a whirlwind of activity is taking place at the Robert and Carol Morris Center for 21st Century Music – next week on April 23rd and 24th the Talujon Precussion Ensemble will be in residency for a composer workshop and concert, and on Wednesday, April 25th, Augusta Read Thomas will visit to present her latest work and give a master class to student composers. This weekend will kick off the flurry of music with two concerts presented by the renowned Italian flutist Mario Caroli. This Friday at 4:00 p.m., at the UB Center for the Arts, in the Lightwell Gallery, Mario Caroli will present a concert of Salvatore Sciarrino’s L’opera per flauto, a crafted collection of Sciarinno’s works for solo flute. Friday’s concert will comprise the first part of the collection, and will be followed up by part two on Saturday at 7:30 p.m., in Baird Recital Hall. Both concerts will be free and open to the public. 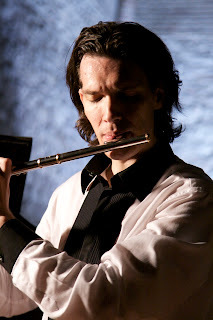 Mario Caroli has established an incredible reputation for himself as one of the world's most virtuosic contemporary flutists. The American Record Guide has remarked that, “Mario Caroli has nearly superhuman skill, paired with extraordinary musical intelligence,” and the New York Times has given him glowing reviews, stating about one of his recent performances, that, “he made a sound you wanted to drink in.” Mario Caroli tours incessantly and performs regularly in some of the greatest concert halls in the world, including the Philharmonic Halls of Berlin and Cologne, the Concertgebouw in Amsterdam, the Herkulessaal in Munich, the Vienna Konzerthaus, the Royal Festival Hall in London, the Théâtre du Châtelet and the Opéra Garnier in Paris, the New York Lincoln Centre, Suntory Hall, Oji Hall and Opera City House of Tokyo, and the Palais des Beaux Arts in Bruxelles. Mario has given stellar performances with the Slee Sinfonietta in the past, and all of us at the Center are thrilled to welcome him back to UB. Enjoy a small audio appetizer to prepare for this weekend’s flute feast with a video below of Mario Caroli performing Salvatore Sciarrino’s Canzone di ringraziamento at the 2009 International New Music Week Festival in Bucharest. We recently had the opportunity to sit down with J.T. Rinker, the Managing Director of the Robert and Carol Morris Center for 21st Century Music, and catch up with some of his recent projects. J.T. maintains an active communications network of musicians, ensembles, and composers all over the world, organizes the Center’s concerts all year round, and maneuvers all of the complex logistics of the June in Buffalo Festival. On top of his managerial activities, J.T. is also an accomplished trumpeter, composer, and artist in a wide variety of mediums. J.T. describes some of his recent pieces and installations, “I’ve been revisiting my piece for crotales and electronics, frigate, for the recent Slee Sinfonietta concert and working it into a more portable version. I’ve also been working on a ten-string guitar piece for Magnus Andersson that has progressed, bit by bit, every time Magnus comes to Buffalo. The piece is tentatively titled trace, and is a continuation of my examination of braiding patterns to create musical materials. In trace, I map out an imagined matrix where the guitar strings, as well as the frets, are intricately braided together, and the intersections of the braided frets and strings create the pitch material for the piece. Even the sequence and the order of activity on the strings are created out of braiding patterns. 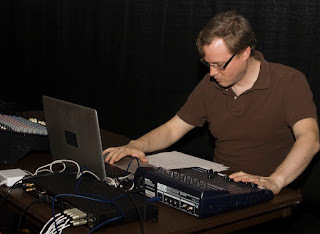 A premiere of the piece has not been scheduled but Magnus has imagined a program where trace could appear with other recent works by composers with Buffalo connections – including Aaron Cassidy's electric guitar piece and a recently commissioned ten-string guitar piece by Elliot Sharp. “This year I’ve been doing a lot of composing, in contrast to last year when I was working more on installations. I had a piece that was exhibited at the Burchfield Penney, in response to a request from the curator, Stefani Bardin, who was looking for artists that dealt with senses other than sight. The first of those projects focused on sound, so I decided to create a piece that dealt with the phenomenon of bone conduction, which is another way of experiencing the vibrations of sound. The installation itself was a long thin aluminum bar that was connected to the voice coils of four deconstructed speakers that vibrated the aluminum bar. The way in which you experienced the sound being projected through the aluminum was by placing your forehead against the bar. It’s similar to how you can strike a tuning fork and place it on your cranium to hear the pitch. “Managing the Center for 21st Century Music can be a lot of work, but it also provides fuel for creative projects – the musicians and artists that come through are always inspiring, and of course the concerts the Center produces are deeply stimulating. I love talking with the performers and composers that come for residencies here. The research I do with David Felder for his creative projects is continually educational, and has lead to collaborations with people like Olivier Pasquet. Olivier and I are currently working on a set of MAX patches that deal with algorithmic rhythm generation, which we call “jtol”. It’s a library of MAX patches for generating different types of rhythms, based on tree structures [more information on jtol can be found here]. Check out the video below of Ryn Ozaki playing J.T. Rinker’s frigate as part of the “A Musical Feast” concert series at the Albright Knox.